Ever since I was a young boy growing up in a relatively poor faming community in rural Japan, I have been utterly fascinated and enchanted by Nature. My family depended on what nature could provide for our health and livelihood and I have constantly tried to discover as much as possible about what Nature has to offer us, to try and understand Nature itself, as well as marvel at its colours, designs and artistry. With the help, guidance and support of devoted family, close friends and some wise and brilliant colleagues, I have been fortunate enough to have made some progress in my quest for discovery and understanding. For my efforts in the scientific field to have been recognised by my peers has been especially rewarding. 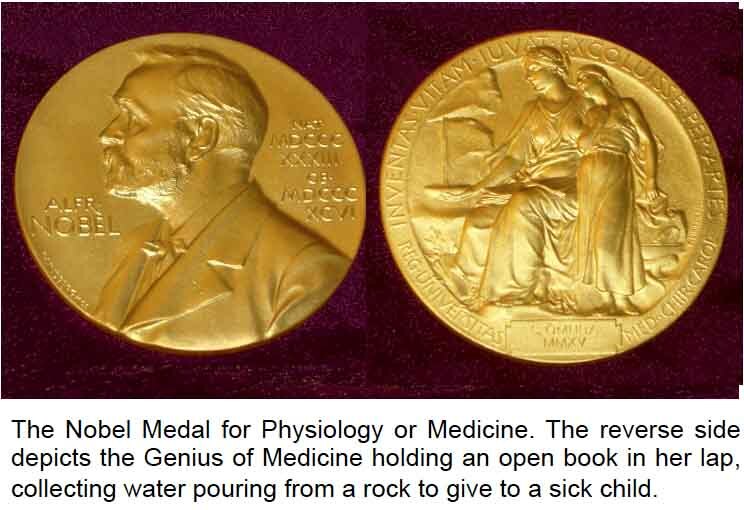 The Nobel Prize in Physiology & Medicine was unexpected and remarkable in several ways. I feel particularly honoured because I view myself primarily as a Chemist. However, I am even more grateful and enthused because this gesture proves to chemists and other scientist alike that their work is not just routine but that, when applied, the results of their endeavours and discoveries can have enormous beneficial impact for the human race – exactly what Nobel himself specified, the award being given for “Discoveries in physiology or medicine that conferred the greatest benefit o n mankind”. Besides my lifelong fascination with Nature, I have also long held a deep passion and appreciation for art of various forms, particularly painting. So it was with great joy and surprise that I found the Latin inscription on the Nobel medal “Inventas vitam iuvat excoluisse per artes” is usually translated in English as “Let us improve life through science and art”. This succinctly encapsulates my approach to life and work and my journey of discovery thus far. I have long been convinced that Nature has all the solutions we need to solve our past, present and future problems – we just need to find them. I am also convinced that it is Earth’s myriad microorganisms that will be the primary source of the treasures and solutions that we seek. I intend to not only pursue my search for novel and innovative microbes and the chemicals that they produce but also to engage, enlighten and encourage the next generation of young scientists and researchers to join me in this quest – to appreciate all that it entails and to undertake the quest with an approach that is respectful, considerate and inclusive of others that travel with us or that we may meet along the way. Publication List (2015-current) and CV updated. Page of "Staurosporine" and "Lactacystin", and Healing art page updated. Page of "Research Team" updated.